I love vinyl records. I LOVE them. I love how they feel, how they look, and especially how they sound. The past few years I’ve been digging through bins and shelves and am very proud of the collection that grows in my room. So much in fact that I would love to share it you! So with nothing left to say, let’s see what spinning in Bootsy’s Box of Records! 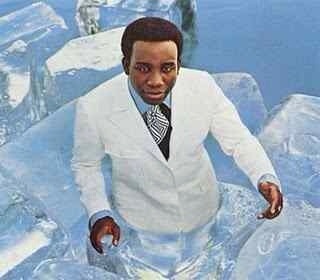 Do you know The Iceman? Have you heard the voice that belongs to Mississippi born Jerry Butler? A key member in The Impressions, Jerry Butler is behind some of the best love songs to come out of the 60s. The Iceman Cometh(’68) is Jerry Butler’s 11th studio album, and it is side-to-side one of my favorite records right now. On top of how great it sounds, the record comes with a fantastic signed photograph of the Iceman. And yes folks the music sounds as good as he looks. Here’s the song “Never Give You Up” featured on Side 2 on The Ice Man Cometh. Hope you enjoyed that! Tonight Dirty Bourbon is kicking the second half of our summer tour off in Belmar, New Jersey at Tenth Ave. Burrito! Showtime is 10pm, see y’all there! Bootsy, you should see Gary’s box of oldies–mostly Elvis ones. We don’t have a turntable to listen to them, but we still keep them.